Hi guys, I did a write-up recently on www.spawningtool.com but I thought I'd share it here too! I am Fullmetal: a Grandmaster Terran and Starcraft 2 coach for All-In Academy. This guide will teach you Hellion, Liberator: A new build that is extremely reliable in the TvZ meta-game. This build is all about harassing your opponent and doing as much damage as possible whilst also expanding quickly. This success of this build is heavily based off of how you micro your units. You want to use the 6 hellions to do an occasional runby to the third while you use the liberators to siege a mineral line. Each map has it's own sweets-spots to place liberators. For example, on Orbital Shipyard, you can place 2 liberators behind the airspace of the natural and set the liberator field in a methodical way that makes it so that queens cannot hit the liberators without being in the liberator range. 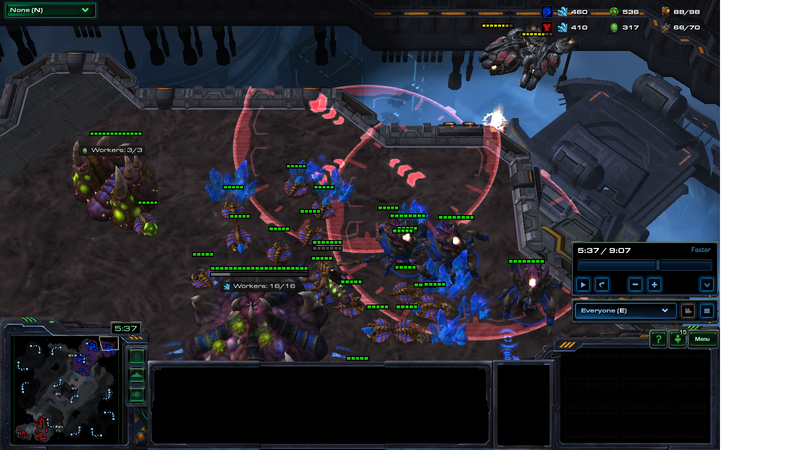 It's difficult to explain how the micro of this build works, so I suggest you study the replays I have provided below. Best of luck! and may all of the Zergs be eradicated!!! Thank you for showing me how to use libs Whats your recommended response if you do see the roach warren/if they roach/ravager all in? It depends on what timing they do. If it's a 2 base or fast 3 base timing usually you need to scout it then play defensive with all of your liberators (just siege them at your ramp) and buy time until you can get out 1 medivac and 1 tank to shut the pressure down. This looks like it has a bio follow up. Is there a way to continue onto perhaps a mech based or even air terran follow up?